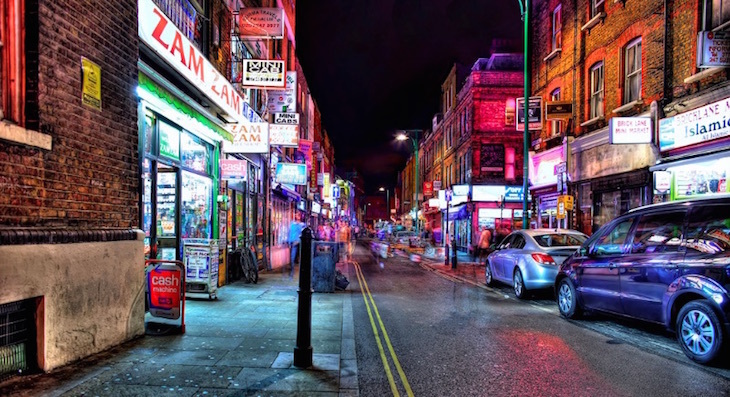 Brick Lane has always existed — although not always with that name — on London’s fringes, both literally and metaphorically, despite its close proximity to the city’s centre. So how did it get its name? Positioned outside of the Roman city wall, Brick Lane was rural up until the 16th century – something that's hard to believe now. So too was nearby Spitalfields (the proof is in the name). People didn’t start to settle in these areas until long after the Romans left. Places outside the wall became gateways for migrants into London. The incoming communities brought the trades for which the street would become well known, and in one particular case, the trade it was named after. Early mentions of Brick Lane can be traced back to as early as 1550. At this point, the area was almost completely devoid of buildings, but the ground in the area was ripe with the clay needed to form bricks and tiles. Then, in 1666, the Great Fire of London claimed many of the City's wooden buildings and as a result, the demand for bricks increased. The area’s good quality clay made it a prime location for the producing these bricks. By the 1650s, houses had cropped up on Brick Lane’s east side, and were followed by dwellings on the west side when several bricklayers brought their skills to the area. At this time, a lot of the buildings housed the Huguenots — French Protestants fleeing religious persecution — many of whom were skilled tradesmen, and paved the way for the city’s weaving industry. Other buildings on the street provided temporary lodgings. There was a brick kiln towards the street's northern end, and bricks from there were trundled down the street to Whitechapel Road. The 17th century marked a shift in the street’s atmosphere. The Black Eagle brewery arrived and the market that continues to thrive today began trading livestock and produce. 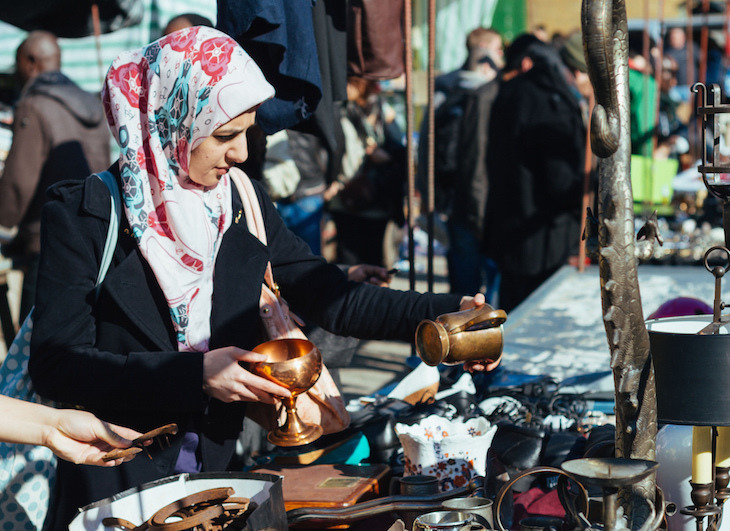 A suburban street characterised by its melting pot of inhabitants, Brick Lane's later resident communities continued to shape the identity of the street. Fleeing the potato famine, Irish immigrants arrived in the 1840s, settling close to the docks, where the ships carrying them had anchored. Then came the Jews from Eastern Europe, arriving between the late 19th and early 20th century. They opened up beigel shops or used their skills as shoemakers and tailors, and their presence was so great, Yiddish signs began appearing on the street. But, as they grew wealthier, a large number of them left in the 1960s, heading for the suburbs. 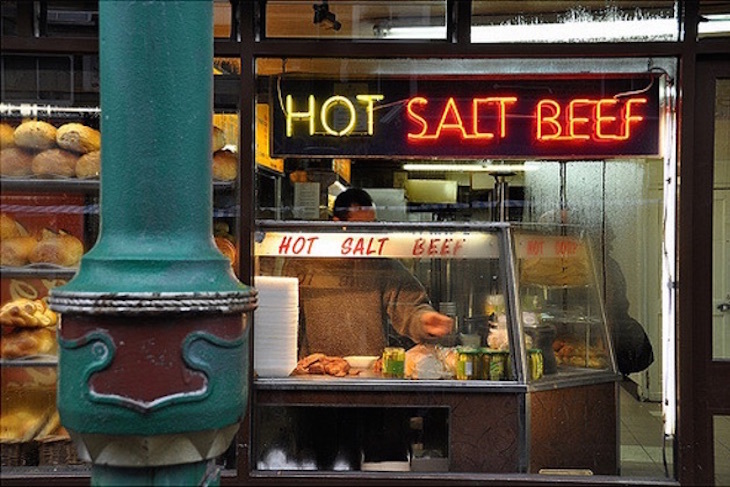 A few beigel shops remain, however, forming part of their legacy. The most recent transformation of Brick Lane was at the hands of the 20th century’s wave of south Asian immigrants. They even brought with them a nickname for the street — Bangla Town. Bangladeshis arrived in the 1950s and 1960s, a large number of whom settled in Brick Lane and Spitalfields. The street was yet again transformed, this time into the sprawling network of curry restaurants that it's known for today. 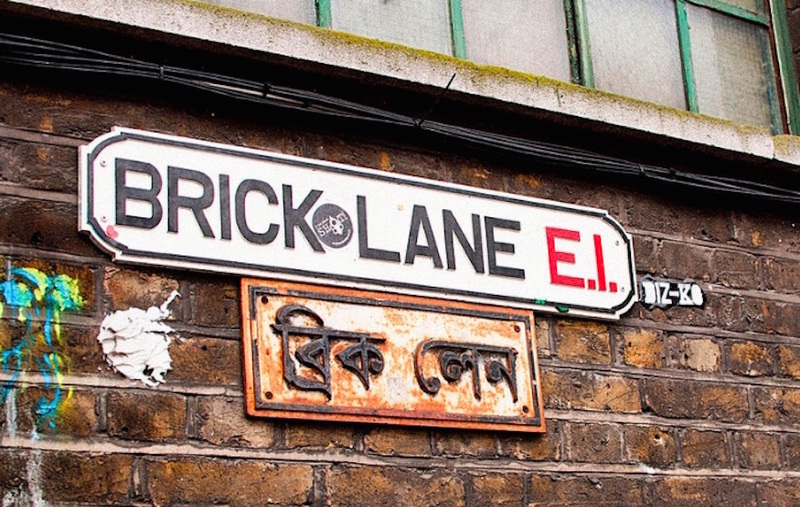 Bangla Town, Brick Lane, whichever you choose to call it, has always welcomed new communities, and those groups have had an impact on the street’s character, and on its name.